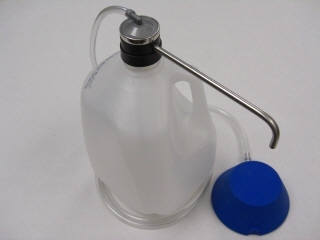 Highland's 412 dispenser for the clinical setting utilizes a disposable 1 quart or 1 gallon (1 liter or 4 liter) bottle, when empty just replace the bottle. The 412 is recommended for counter top dispensing. Using the time-tested and patented Highland foot-pump dispensing system, this unique design dispenses the soap/solution in a completely hands-free way. 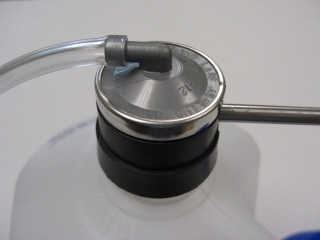 As with all Highland foot-operated dispensers, air from the foot pedal never comes in contact with the product being dispensed.